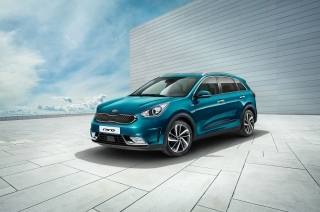 "I want to give Kia global appeal, and I want that appeal to be about design above all else - the new Sportage is a major step towards achieving that goal" says Peter Schreyer, Kia's Chief Design Officer. 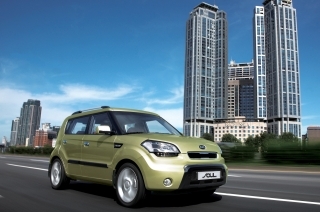 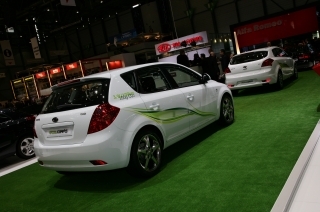 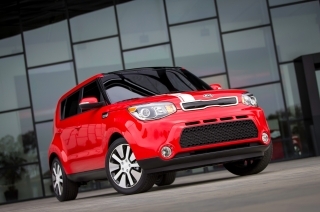 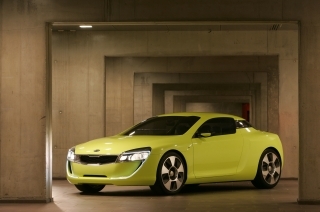 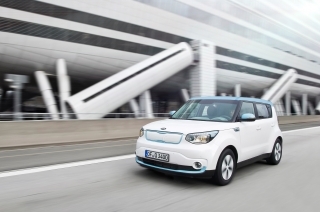 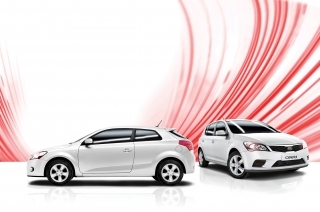 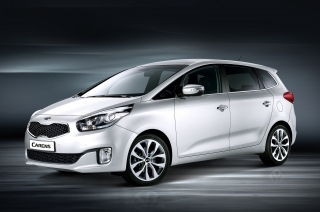 Schreyer, who joined Kia in 2006, intends to transform the public perception of Kia right around the world. 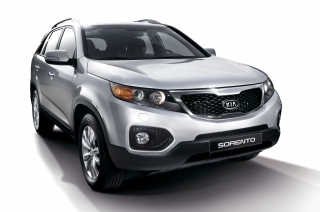 "The new Sportage is fresh and bold and could not be mistaken for anything other than a Kia," says Schreyer. 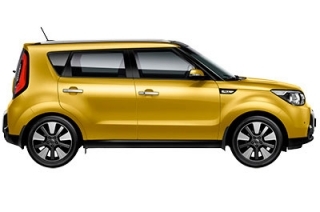 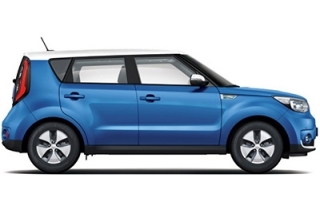 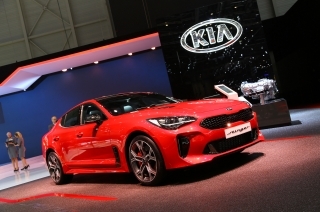 "It embodies Kia's new-found visual dynamism by successfully taking the key features of an off-road vehicle - the raised ground clearance, the commanding driving position and heightened sense of security - and enveloping them in a sleek and urban-friendly design with global appeal. 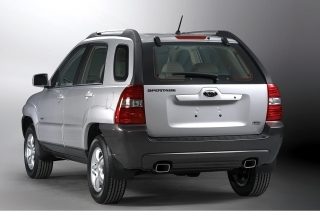 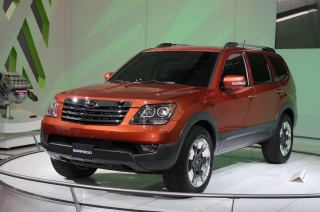 With its athletic and muscular design the Sportage fits its name perfectly." 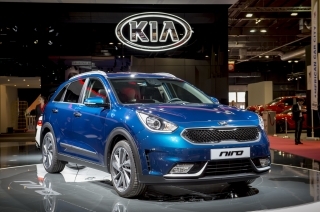 Previously seen exclusively as a mid-sized offroader, the new Sportage has taken a dramatic turn in design direction and has broadened its appeal to a more urban and design-conscious market. 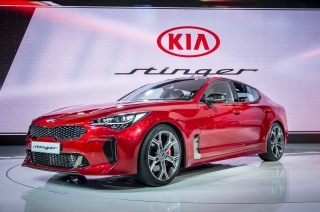 Longer, lower and wider than the model it replaces, the new Sportage is immediately identifiable as a Kia by its ‘tiger' face - incorporating Schreyer's striking signature grille design - that links all new models from the Korean firm. 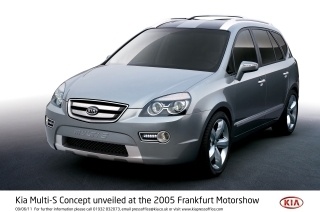 Look at the new Sportage and its visual links with the Kue show car - unveiled at the 2007 Detroit Motor Show - are hard to ignore. 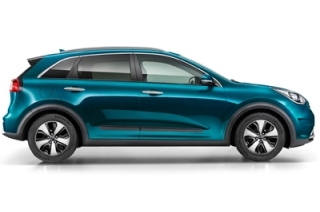 "It's crucial that we draw real design inspiration from our concept and show cars, like the Kue, and inject that motivation into our production cars - the new Sportage is clear proof of that," says Schreyer. 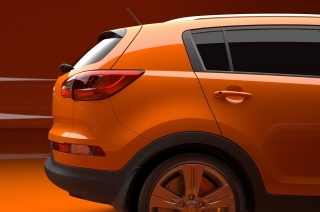 "If you look at the side profile of the new Sportage, you can see a strong resemblance to the Kue, underlined by the show car's distinctive sheetmetal motif which again is mirrored in the Sportage." 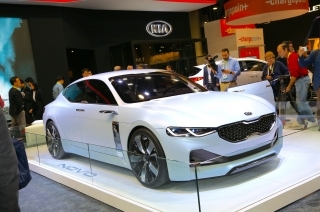 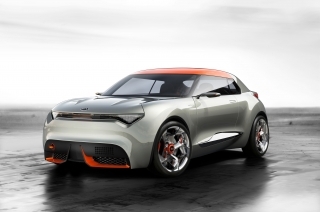 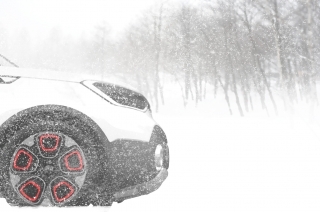 While some manufacturers simply tease the car-buying public with futuristic concepts, the look and feel of Kia's forward-looking show cars can easily be found in its subsequent production vehicles. 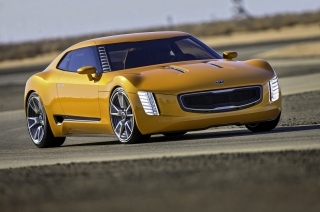 "We started work on the Sportage about three years ago," says Schreyer. 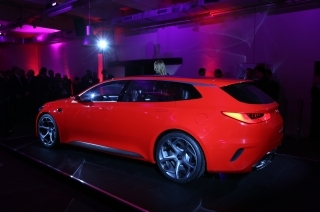 "We worked mainly with the design team here in Frankfurt and with our counterparts in California, so we're talking about fifty designers in total. 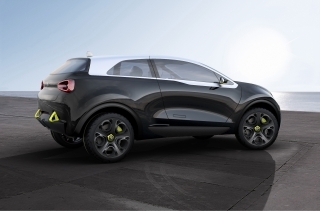 We started by analysing what the current Sportage means to the brand, what it means to Kia customers and what our customers expect." 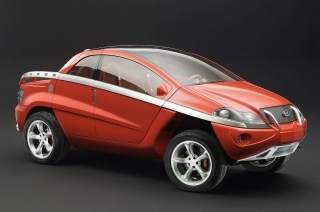 According to Schreyer, there were two divergent trains of thought - one idea was to pursue a tougher and more off-roadish theme, while the other was to create an agile and urban-friendly style. 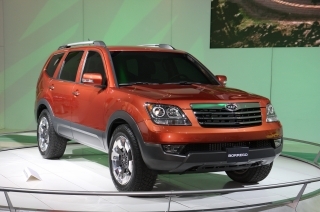 Either way, the designs had to maintain the advantages of the four-wheel drive - a usefully high ground clearance, an elevated seating position and the feeling of being in command. 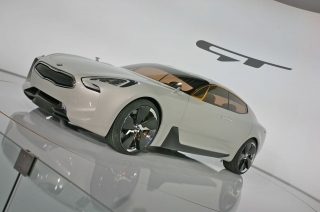 "I encouraged our designers to go in both directions because there is always the chance that a design element from one could be used on the other," says Schreyer. 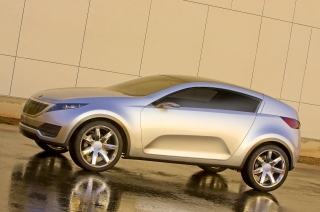 "Then we moved onto sketches and quarter scale models. 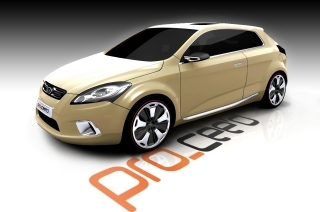 We then picked maybe three of the most promising ones and created full-sized models. 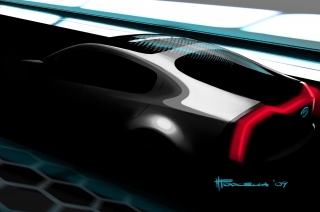 This decision-making process takes three to four months, part of the entire eighteen-month design process. 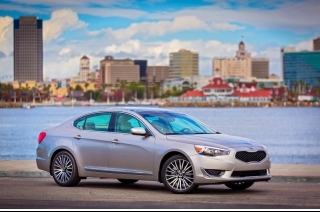 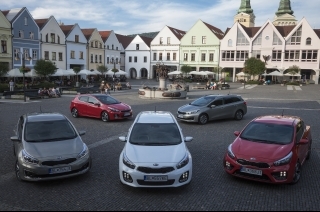 Such a quick process makes Kia very flexible," explains Schreyer, "because time-wise we are close to market and can react very quickly." 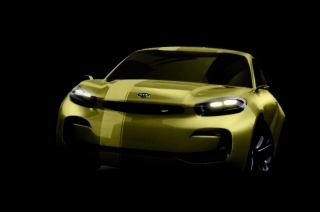 "Since starting the project, it was clear for us designers that we wanted to leap ahead and establish a paradigm shift in the way we look at Sports Utility Vehicles (SUVs), while at the same time strengthening the new Kia design language in the interior", explains Massimo Frascella, Head of the Exterior Design Team on the new Sportage. 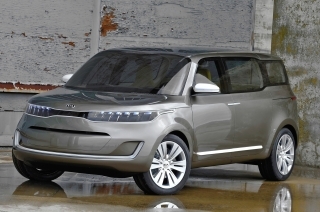 Frascella continues: "If you look at current compact SUVs, you‘ll discover that in the past the main focus was merely on the ‘utility' side: the cars were practical, but often aren't show-stoppers to look at. 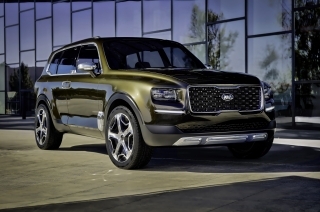 A contradiction to how they are often used, with most SUVs driven in urban environments, where style and a bit of ‘show-off' play an increasingly important role." 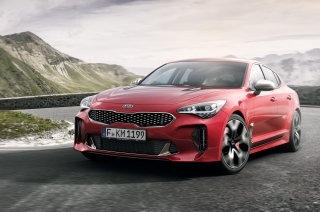 Sitting below the central bonnet-mounted badge, the trademark ‘tiger' face sweeps out to effectively frame the grille before broadening out and encompassing the car's large and piercing headlamps to create a distinctive and powerful visage. 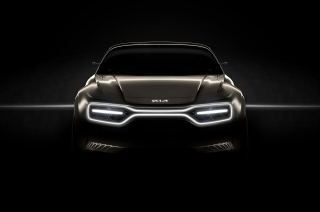 The strength of this countenance is reinforced by the clamshell bonnet and its contours that run into raised shoulders as they flow down to meet the headlamps. 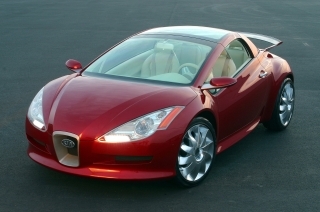 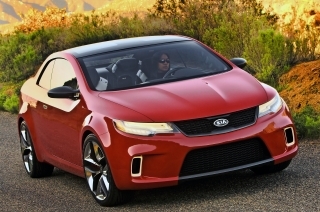 "The clamshell bonnet gives a sense of strength and solidity to the front end," says Schreyer. 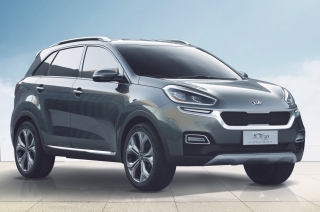 "Together with the grille, these shoulders create a strong three-dimensional feel to the face of the new Sportage, and they also help the driver accurately place the car on the road." 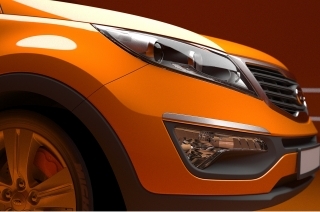 The new Sportage's athleticism is reinforced by its rakish windscreen angle, which sweeps seamlessly into the low roofline. 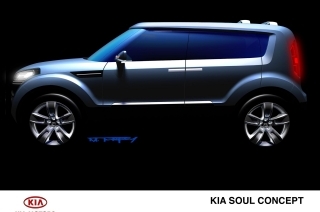 And the top of the screen itself reflects the grille profile. 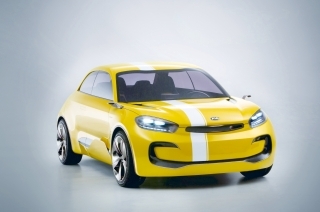 "The profile line of the top of the windscreen mirrors that of the grille," explains Gregory Guillaume, Chief Designer, Kia Europe. 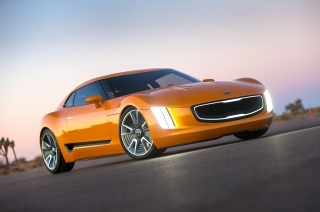 "We first featured this castellated element on the Kee concept car, at the 2007 Frankfurt Motor Show. 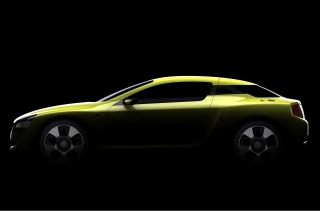 This is followed through to the rear, which has the same distinctive outline at the base of the rear windscreen. 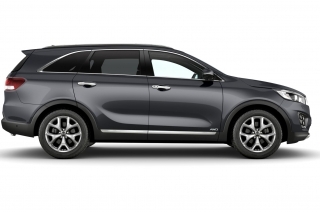 These two features instantly heighten the Sportage's on-the-road visibility - as do its sculpted flanks, which, flanked by boldly flared wheelarches, feature a striking concave motif in the door panels." 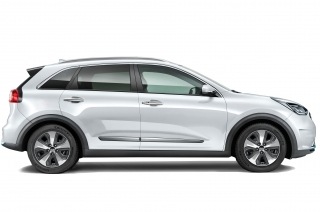 The key design element of new Sportage's purposeful stance is the relationship between its high shoulders and narrow glasshouse, explains Schreyer. 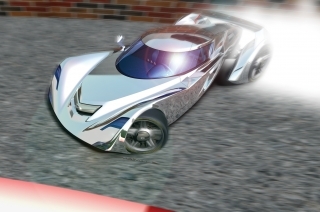 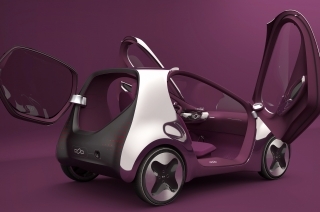 "We've created a car with a sportscar-like ratio between sheetmetal and glass. 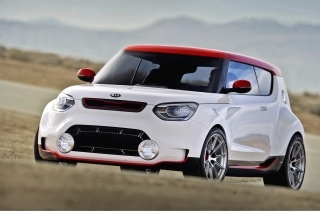 The side-windows are very narrow which gives you an almost rally-car feeling." 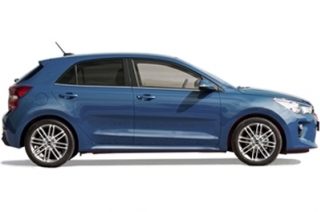 Follow the shoulder and roof lines and they meet at the striking reverse-angled C-pillar. 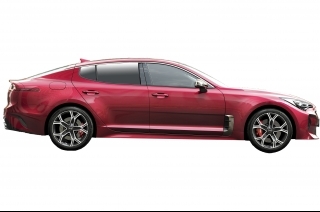 "The size, the shape and the proportion of the C-pillar on any car is absolutely crucial to its appearance," says Schreyer. 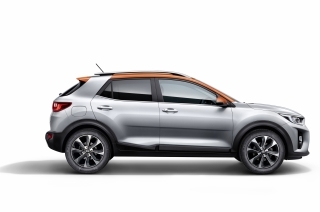 "And as you can see on our new Sportage, it determines the entire look and feel of the car." 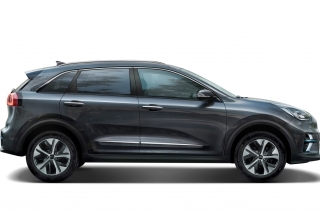 Using a tape-measure against the new Sportage confirms it is slightly lower than the previous generation, but the design of the new Sportage makes it look significantly lower, and both sleeker and more assertive. 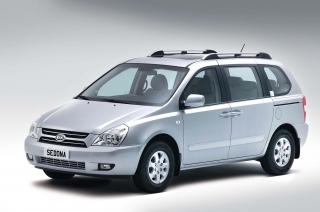 The surfacing is modern and clean and the side profile is defined by a spearing shoulder running the whole length of the car, visually connecting headlamps and tail lamps. 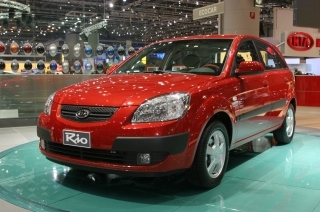 The simplicity of this line, together with the lower body sculpting, conveys a sense of precision and dynamism. 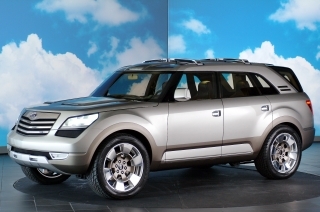 Large-diameter wheels, muscular wheel arches and a prominent shoulder line provide a powerful stance while the darker cladding brings a touch of ruggedness to the whole vehicle. 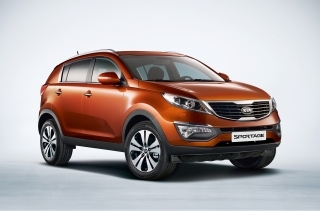 The new Sportage's cabin had to reflect the dynamism and sporting nature of the exterior. 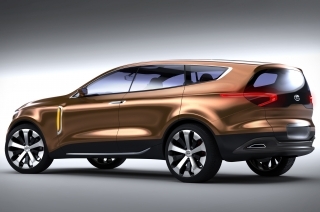 But how do you inject real ‘sportiness' into a compact SUV with a high seating position? 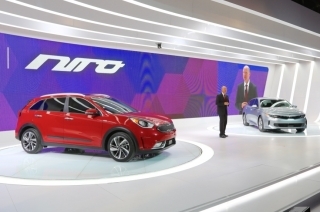 Ralph Kluge, Head of Interior Design on the new Sportage project explains: "The driver needed to feel connected and cocooned by sitting "in" rather than "on" the vehicle as they would in a sports vehicle. 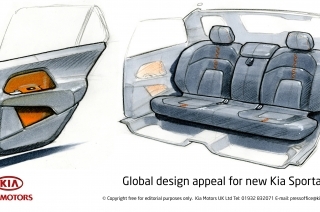 As new Sportage is rather compact, a balance was required so that this didn't feel claustrophobic - we achieved by two significant changes in the architecture of the Sportage's interior. 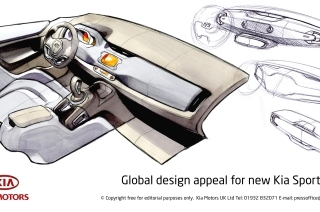 Firstly, the horizontal layout of the instrument panel (IP) creates a feeling of space by visually stretching the car's width. Secondly, the high centre console, that in conjunction with rising feature lines on the doors makes you feel like you are sitting inside of a sporty coupé rather than in an SUV. 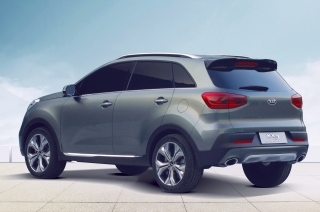 The Sportage's exterior, with its high shoulder line and compact glass areas further support this." 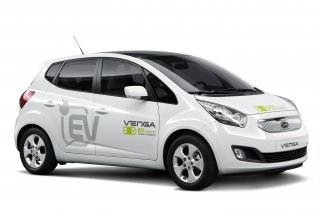 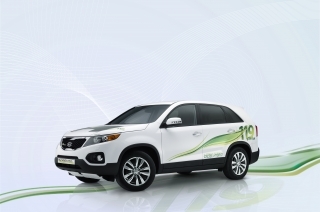 The main feature of the IP is the ‘wing' that seamlessly integrates the radio, air-vents and instrument cluster into one clean, sweeping form. 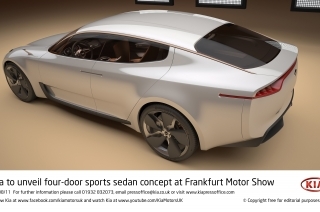 This ‘wing' sits in a deep cut-out that reinforces the impression of solidity, and at the same time integrates a second level of controls for the heating & ventilation control unit below and a second screen above. 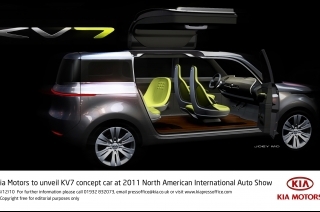 This two-tier design stretches across the width of the interior, going against the convention of upright, blocky SUV interiors, and creating, instead, a much more harmonious atmosphere. 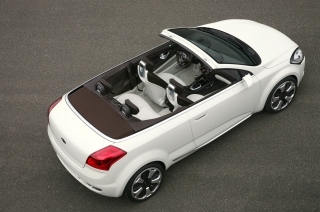 The muscular IP section together with the high level console further enhances the feeling of being in a solid, secure interior. 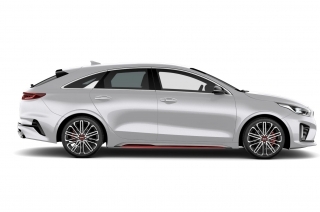 "The exterior design is very sporty for a car of this type and, although you sit high in the cabin, there's still something undeniably sporting about it because the windscreen has a very fast angle and the shoulderline is high," says Guillaume. 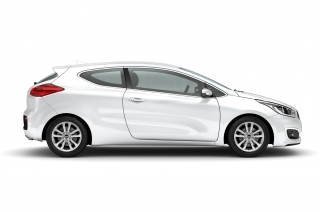 "This gives you a sort of cocooned and safe feeling, and yet from a practical point of view there is still plenty of rear headroom." 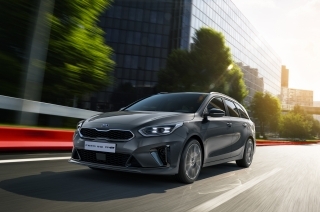 In the generously proportioned rear cabin, the boldly angled C-pillar cuts back on itself well behind the rear passengers, to enhance the car's low-slung profile without encroaching on their view out." 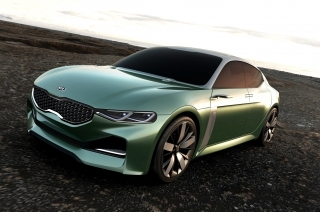 Kia's design language is based around architecture. 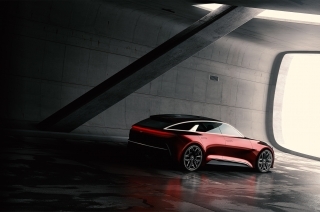 "It's the way the greenhouse sits on the body, the proportion, the graphic when viewed from the side, the wheel arch size, the face, the stance, the overhangs, and the down-the-road look and feel of the car. 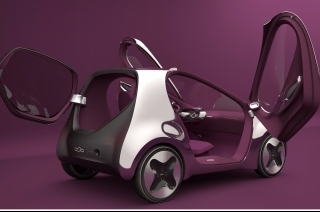 Everything should work together." 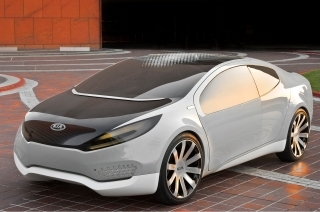 explains Schreyer. 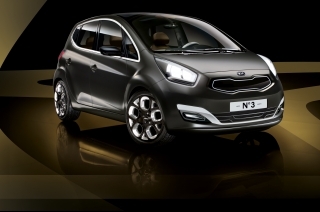 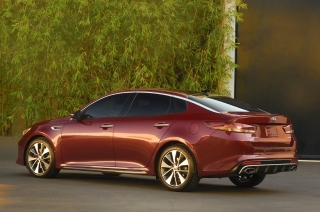 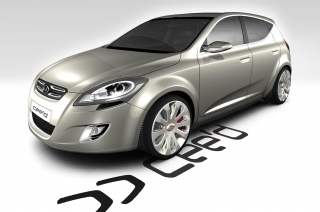 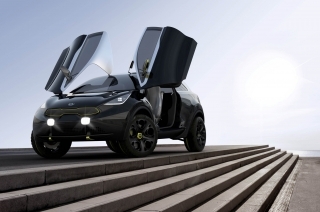 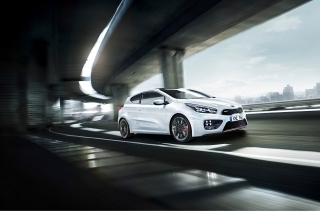 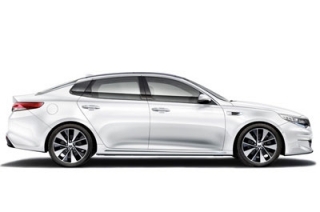 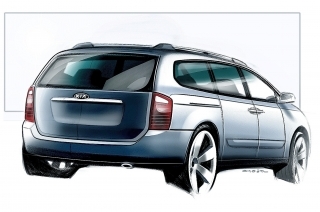 "When it comes to encapsulating Kia design I always refer back to the simplicity of the straight line. 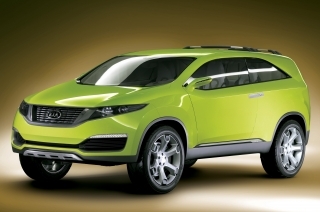 It means that we are trying to keep our design simple... and, in design, simple is the hardest thing to create." 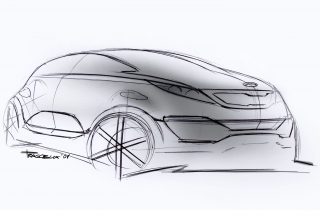 The arrival of the new Sportage marks another design milestone for Schreyer and Kia's design teams - another step closer to his goal. 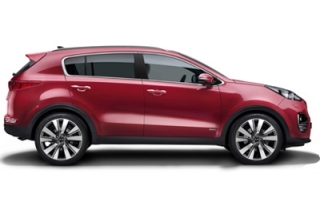 "I think the new Sportage is fresh and bold and couldn't be mistaken for anything but a Kia." 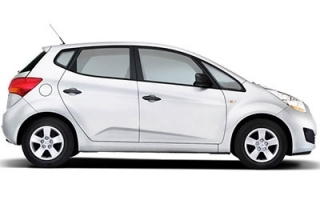 says Schreyer. 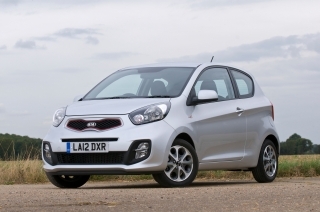 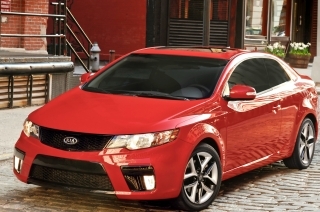 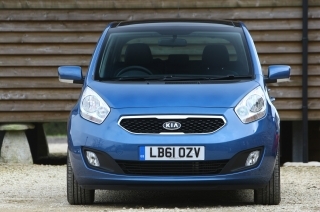 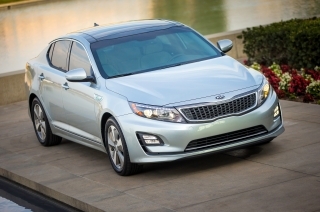 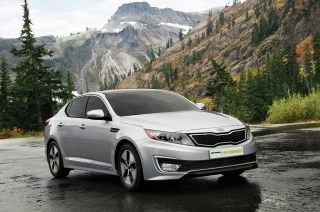 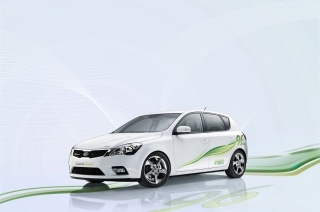 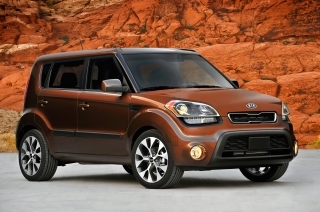 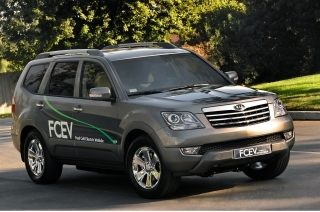 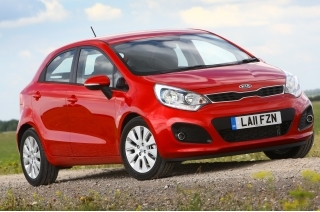 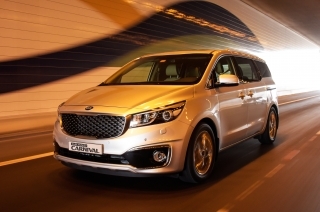 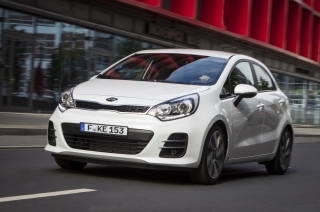 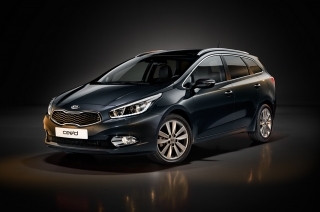 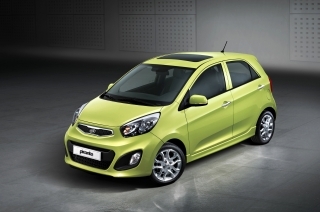 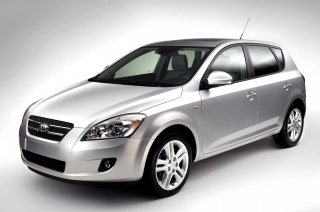 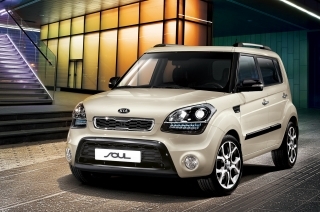 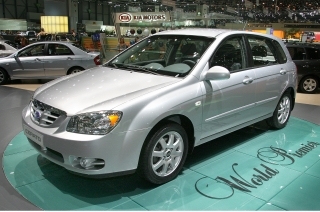 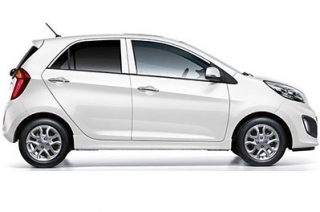 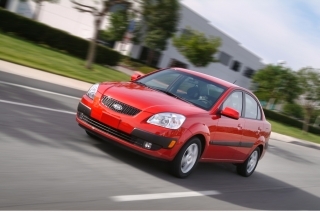 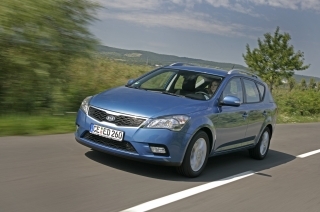 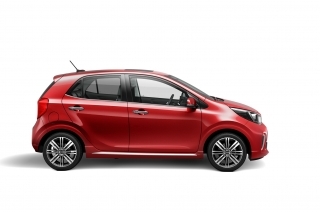 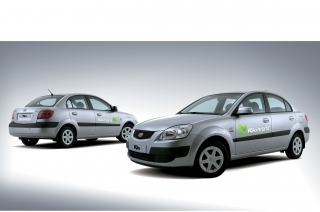 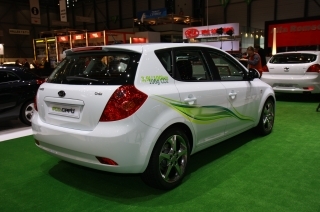 "In the past to buy a Kia was to make a very rational decision. 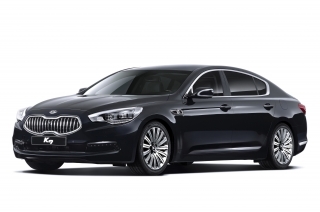 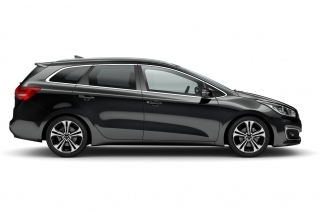 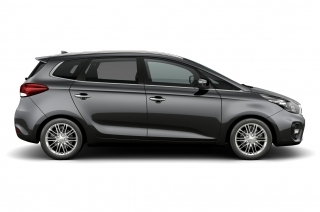 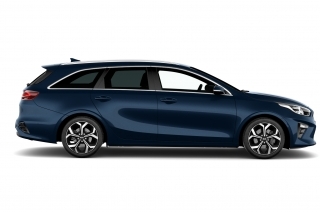 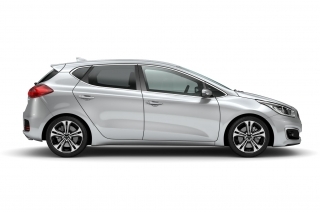 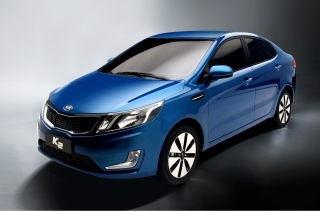 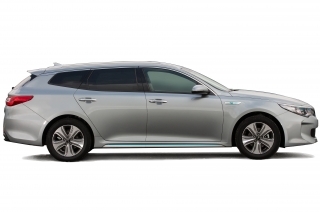 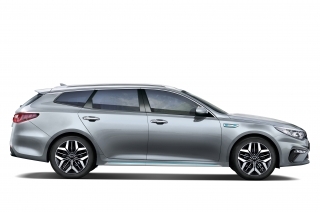 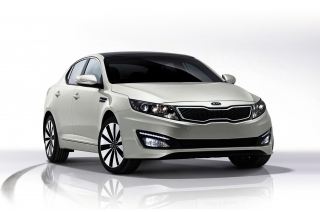 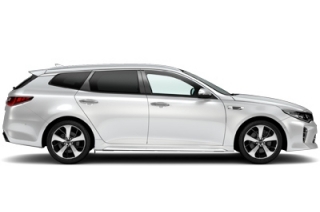 I want to create the situation where people see a Kia and want one firstly because of the way it looks, and then they discover that in addition to its great design it's also attractively priced and has a great warranty. 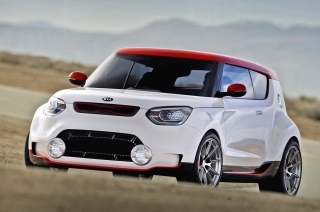 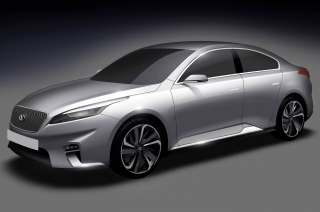 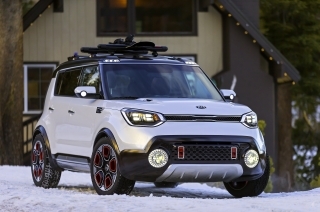 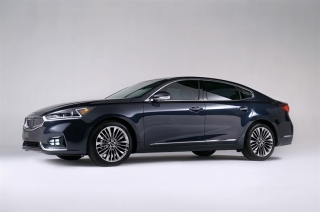 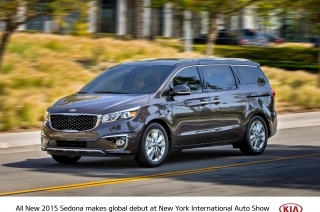 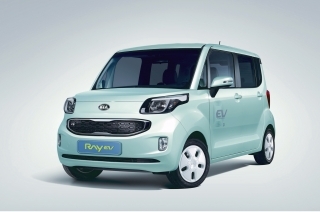 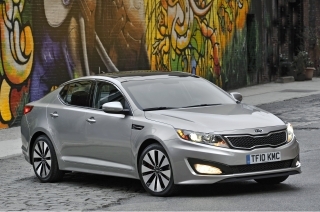 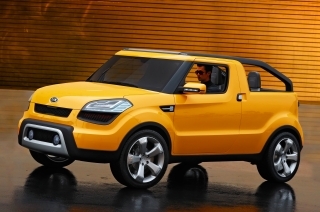 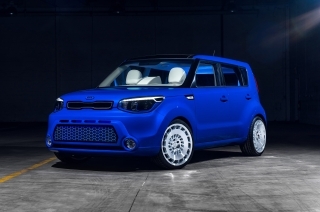 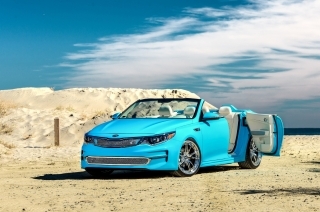 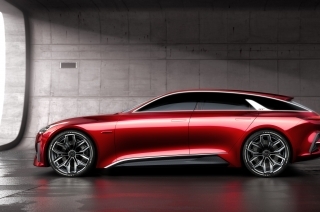 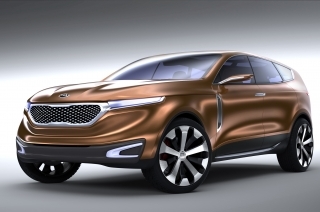 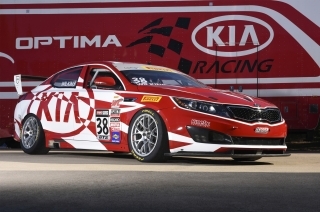 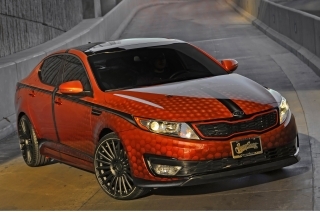 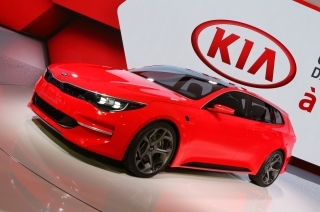 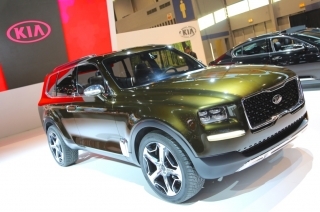 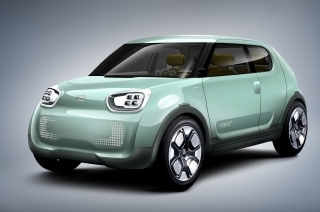 I want to give Kia global appeal, and I want that appeal to be about design above all else."